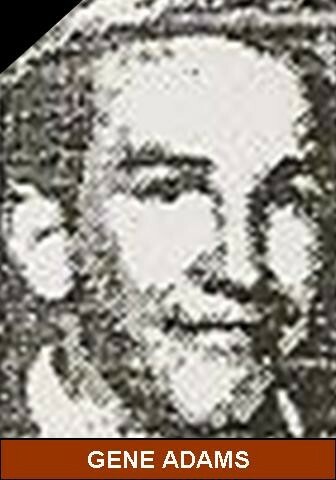 Eugene H. Adams, 22, of RapidsCity, formerly of Moline, died yesterday (Jan. 20, 1965) in MolinePublicHospital after an extended illness. He was born June 20, 1942 in Moline. He was the son of Mr. and Mrs. Harvey Adams. He attended the Moline public schools and graduated from MolineHigh School.... He was employed by the International Harvester Works, East Moline. Surviving are his parents; two brothers, Robert stationed with the Air Force in the Philippines, and Donald stationed with the Air Force in Wichita, Kan.; and one sister, Mrs. Toby Laden, CoalValley. Arrangements are pending at Primm-Sullivan Funeral Home, East Moline. Services will be at 1:30 Monday afternoon in the chapel of the funeral home. The Rev. David Goodwin of the WatertownBaptistChurch, East Moline, will officiate. Burial will be in Rose Lawn Memorial Estate. Friends may call after 7 at the funeral home. Pallbearers will be Terry Bratton, Ronald Burnett, Huel Bower, William Geyer, Michael Monahan, and Harry Parr. A maternal grandfather, Ernest Jack of Mountain Home, Ark. also survives.